Every February, the first items you see when walking into a grocery store are king cake boxes piled high. A little less predictable lately are the flavors packed inside those boxes. 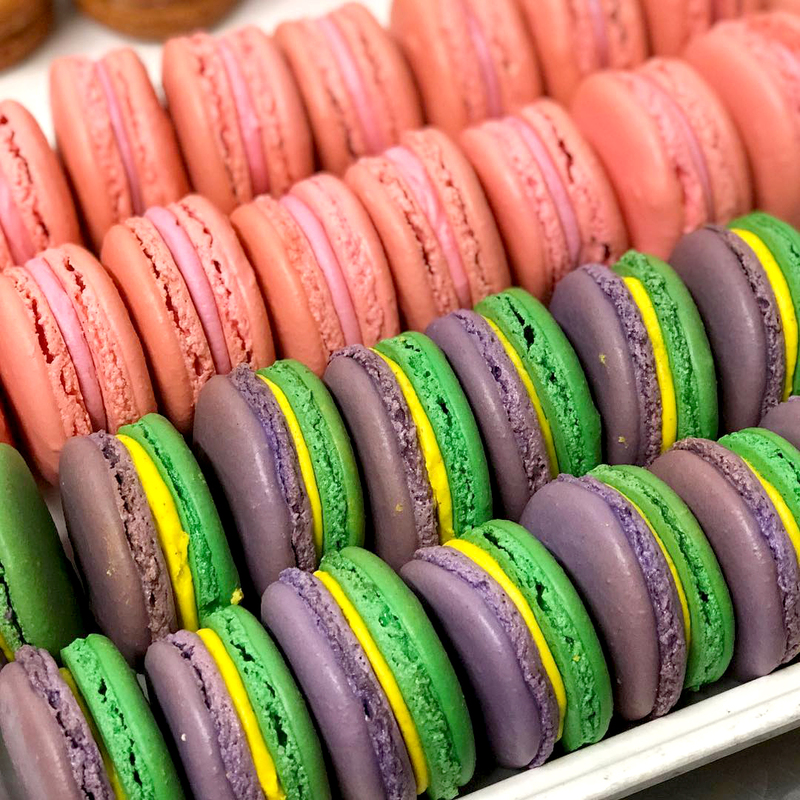 Baton Rouge bakeries, cafes and restaurants switch up their routines every year, making Carnival season an adventure in unexpected flavors. Just scroll through social media—it’s basically a competition for who is making the coolest, most unique, most Instagrammable king cake concoction around. And y’all, we are Here. For. It. 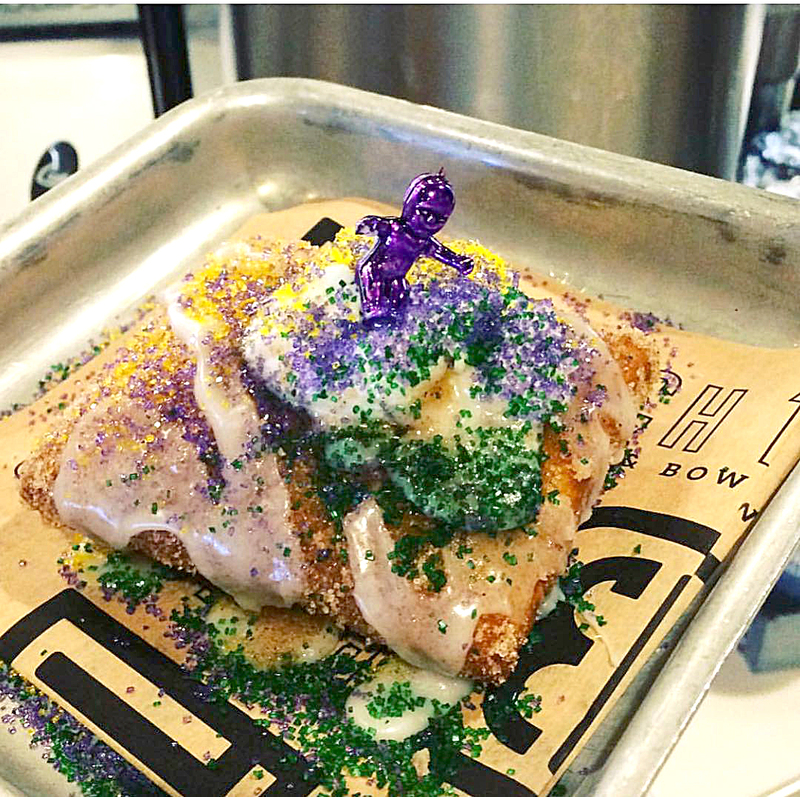 Here are some of the most interesting king cake treats we’ve seen so far this season. Be sure to follow our 225 Dine e-newsletter and tag your favorites on social media with #225batonrouge. Because trust: We’ll be sharing more of our favorite king cakes all season long. Laissez les bons temps rouler! Find the businesses on Instagram. 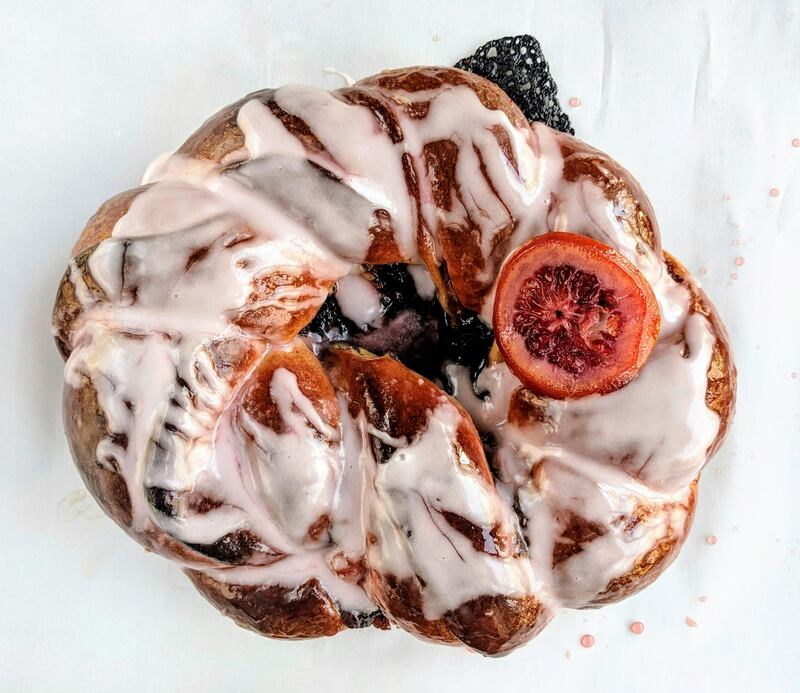 • RÖSCH BAKEHAUS’ blood orange, tahini and dark chocolate king cake might be an actual work of art. Watch out for interesting varieties all season, including cream cheese and peach preserves with ginger walnut; raspberry rose frangipane; and chocolate lavender. Oh, and they come topped with a porcelain baby. 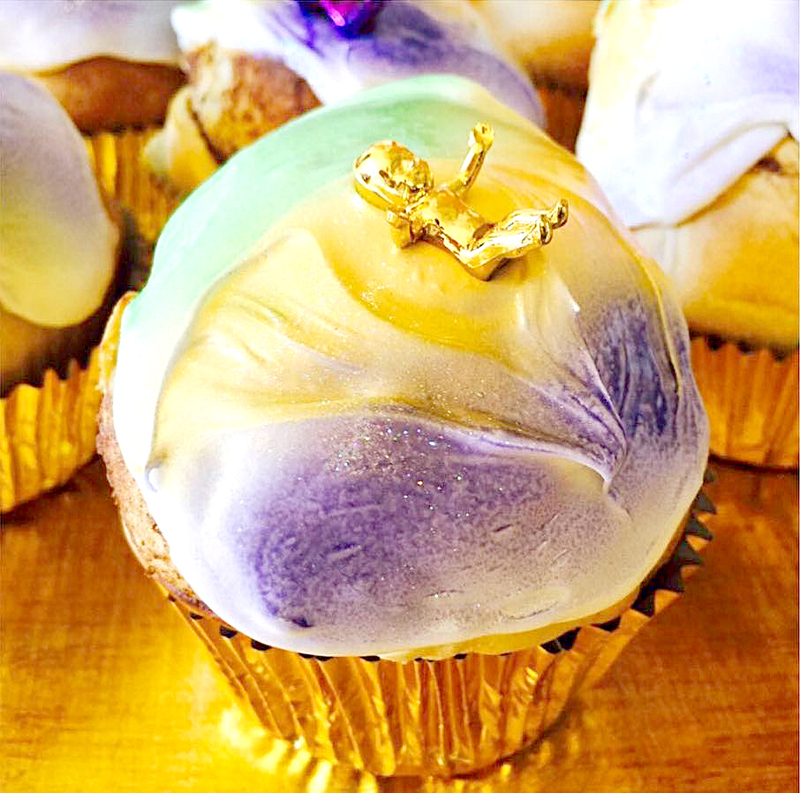 • TREDICI BAKERY’S king cake mararons are made with a cinnamon shell and filling. The shop is also serving king cake cookies (including a flamingo version! ), cupcakes and cakes with a dip of your choice. 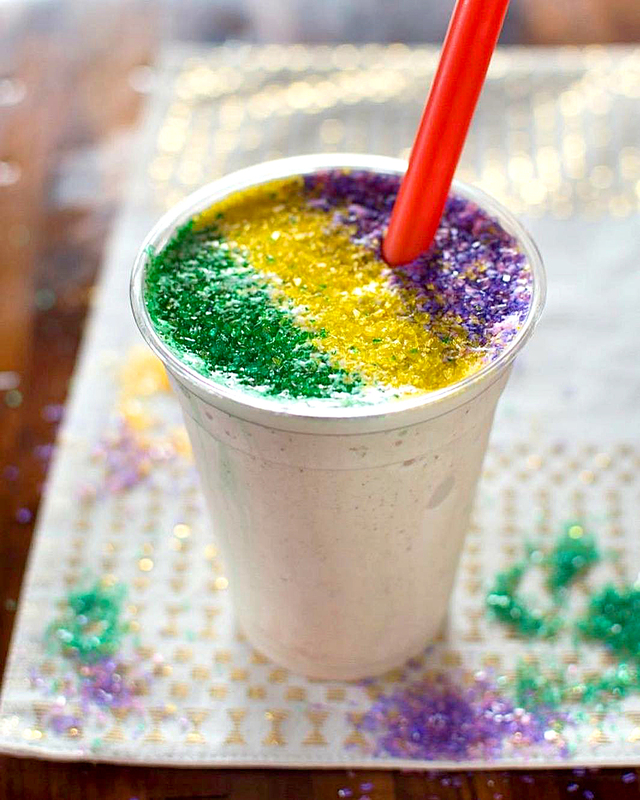 • FAT COW’S king cake shake means you can have your cake and drink it too. Sweet and creamy with a touch of cinnamon, this is the Fat Cow shake we wait all year for. 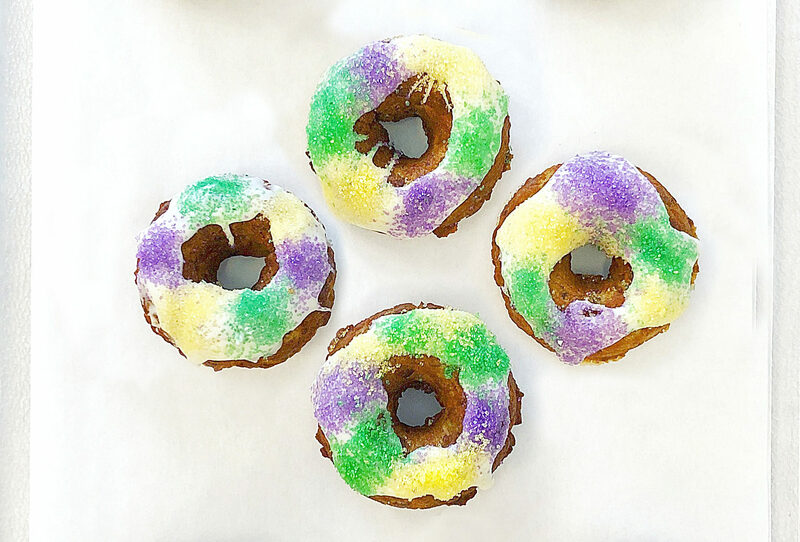 • BATCH 13’s king cake bonuts offer a cheesecake-filled cinnamon biscuit-doughnut hybrid topped with vanilla glaze and sugar. And psst, watch out next month: Fingers crossed Batch 13 brings back its Irish cheesecake bonut for St. Paddy’s. 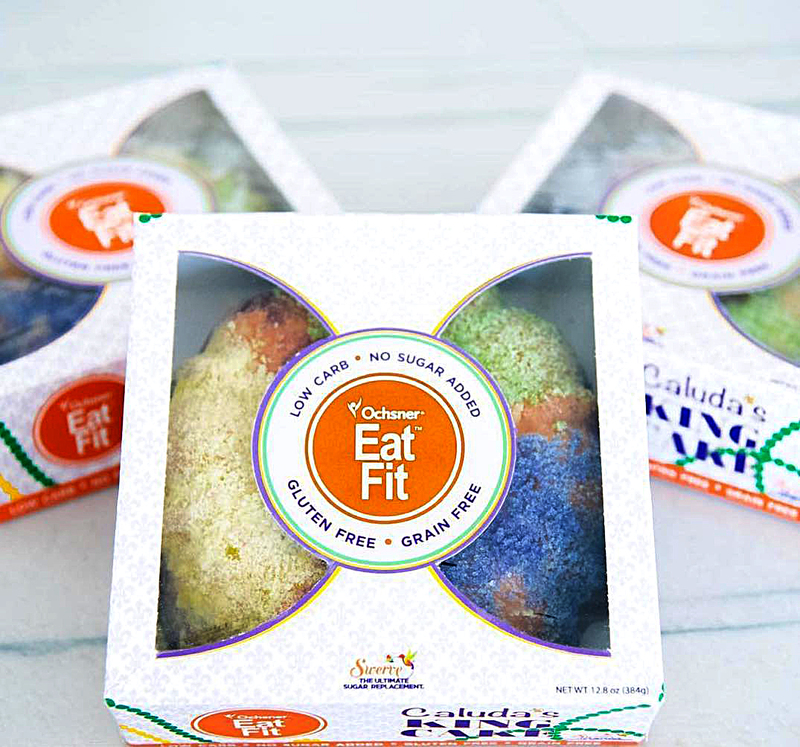 • CALUDA’S OCHSNER Eat Fit king cake is gluten-, grain- and sugar-free. Yup, that means it is Keto-friendly. Seriously, has king cake season ever been better?! Find it at Alexander’s Highland Market. 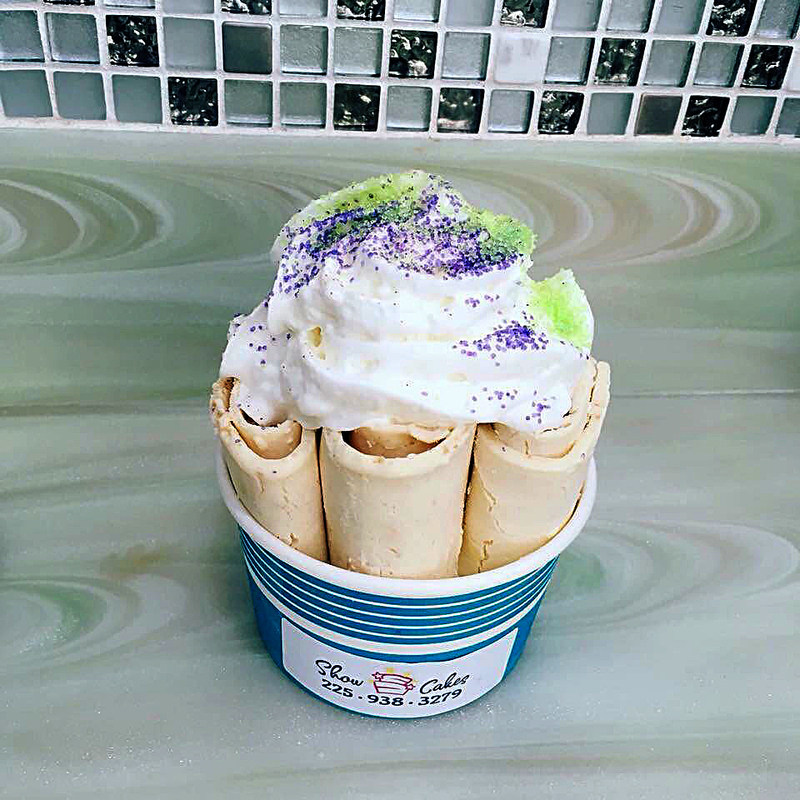 • SHOW CAKES’ Carnival rolled ice cream sneaks a little Mardi Gras flavor into the of-the-moment way to eat ice cream. It’s also serving king cake cupcakes and mini cheesecakes. 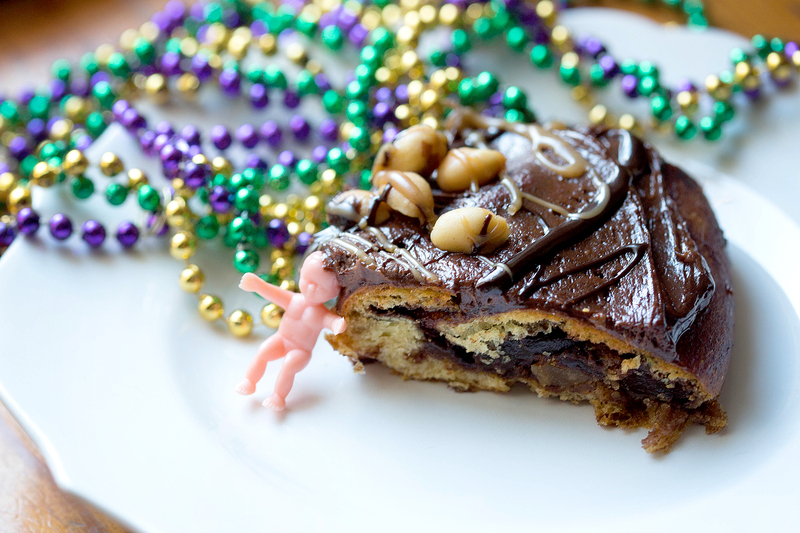 • CALANDRO’S “Who Dat” king cake with chocolate and peanut butter flavors is that perfect mix of sweet and savory. It’s one of more than 40 flavors the grocery store is doing this year. 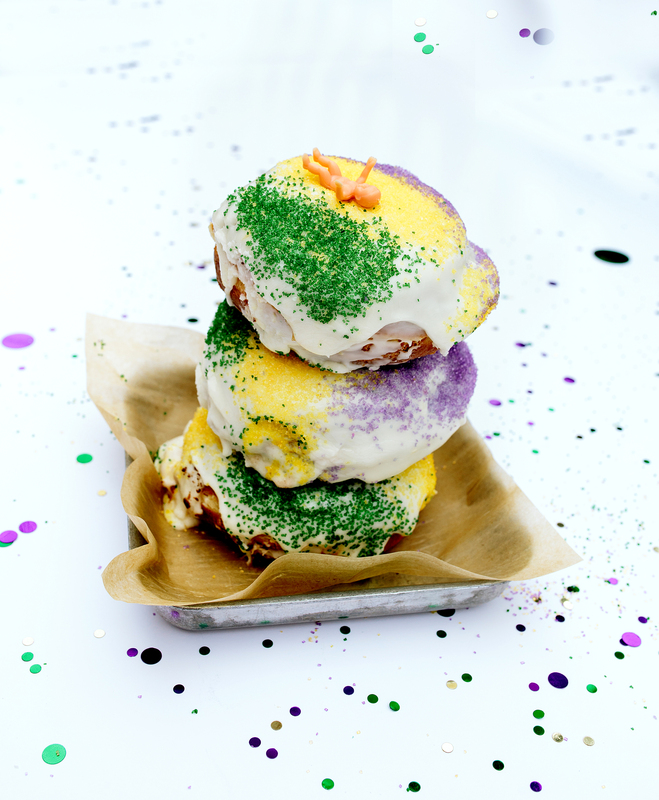 • DISTRICT DONUTS SLIDERS AND BREW’S king cake doughnut is available daily this season for the first time ever. It’s stuffed with a cardamom- and orange-spiked cream cheese and topped with sweet orange glaze and tri-colored sugar. • GOURMET GIRLS’ king cake cupcakes come in two varieties: cream cheese and cinnamon. And um, do you see that subtle glitter on the frosting? • CUPCAKE ALLIE’S mini pup cakes are safe for your furry friend. Because who says humans get to have all the Mardi Gras fun? This article was originally published in the February issue of 225 Magazine.